This is a weird style exercice between strangely retro (plastic chrome and fake wood) and futuristic. Like a 70's version of Blade Runner. 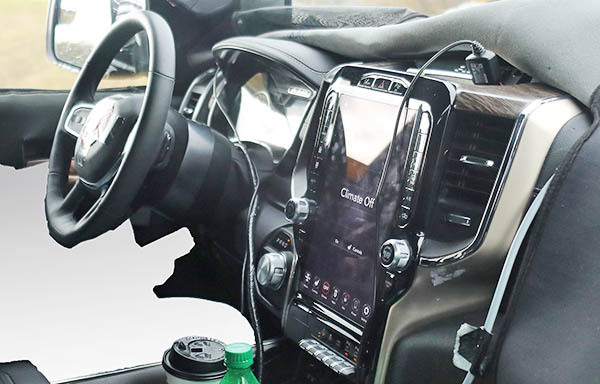 This Tesla like huge vertical screen in the center of the next Ram 1500 pick up seems like 2 worlds colliding. This might actually turn out pretty cool. Much more modern than the current Ford F150. You can see more of this interior HERE. Dear RAM, more wood / less black plastic. Don't make the same mistake GM did.